Here are few BSE listed SME stocks I took from 52 weeks low. Market is not good so thought to take from low for these minnow. 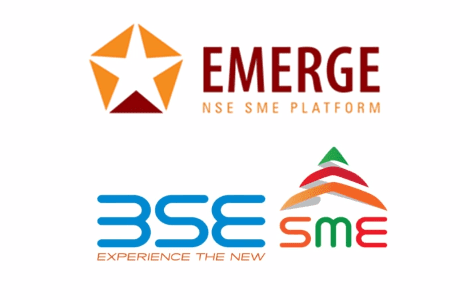 Here are those BSE SME stocks which has touched 52 W low few days back. This is a basic screening of those companies to know if that interests me or not! 1. SVP Housing Ltd - Website expired. Screener detail about it - SVP Housing Limited, Is an India-based company engaged in the business of trading and distribution of steel products. Remark: Disliked its business and also website has expired. Blueblood Ventures Limited is an India-based company engaged in the business of security and commodity contracts brokerage, and management consultancy activities. In real estate of Mumbai market. It build residential projects. Remark: For Real estate this small company! At Jhandewalas, the best procurement and processing systems are employed to process Naman’s Ghee, Kesar, Godhenu- Cow Milk Ghee, Refined Oil (Polki), Mangodi, Papad, Boondi Raita, Poha, Yum Yoo Nachos, Pasta, Porridge and other prominent products introduced by Jhandewalas, It was the efforts of Mr. Raakesh B Kulwal that our Company’s IPO was 278 times oversubscribed and our Company got listed on BSE-SME platform on 12th January, 2018. Old Family business based in Rajasthan. Few temples are its clients. Remark – Worth checking further. Website is not working. Need to check DHRP. Mar, 2017 and Mar 2018 yearly results are good. Very heavy equity addition. From 0.15 to 13.35 Cr in 2018. Focus Suites Solutions & Services Limited operates as a qualitative market research company in Asia, the Middle East, and Latin America. Two women are at top. Remark: Check further about its business. Various utility products based on solar energy. Worth checking. Yearly growth is visible. 20 Cr sales. Equity from 0.45 to 6.58. Can it increase fast? I doubt about scope available. Website is managed well. Remark: check further development. Products are interesting. See images on company's website. Well maintained website. No data in screener. New delhi based real estate developer. No idea of projects running from website. A alcohol company. But what it does actually is not clear. Annual growth is good. Valuation wise not looking cheap but costly. In annual Report, it has not mentioned about company. Brands it has mentioned but do not know whether it owns that or it supplies to those brands. I have added my own comment with those companies. Take it as personal note and not article ready worth publishing. Two are worth checking, if you want to check only few. Taylormade Renewables Ltd and Jhandewalas Foods Ltd.